It’s rare that a window display at a retail store catches my eye anymore. 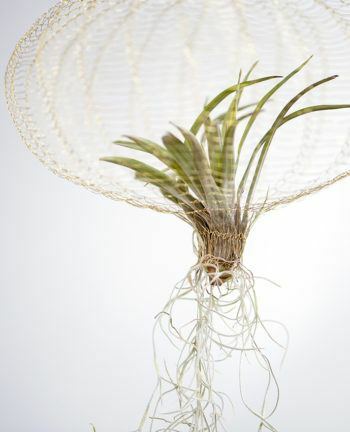 Today, however, walking by a small boutique I was stopped and stared in awe at these amazing creations holding one of my favorite plants – the Tillandsia (air plant)! 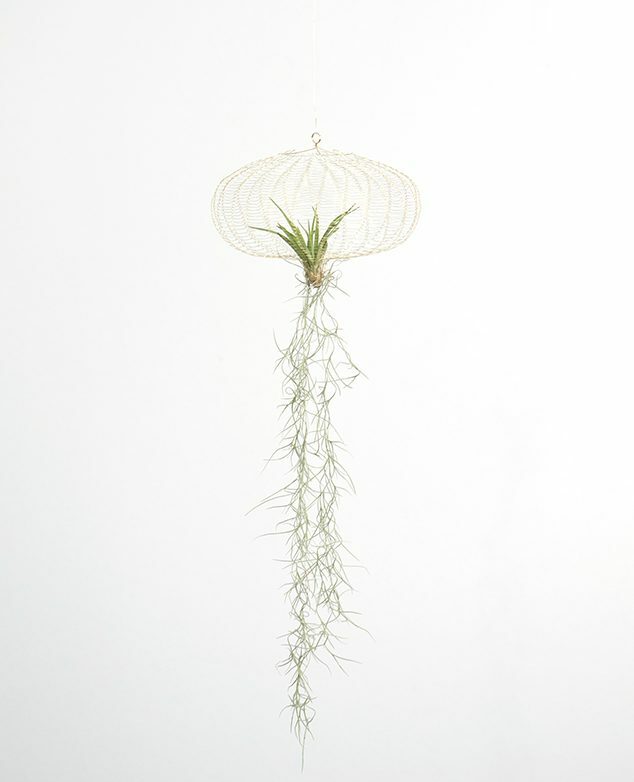 The window was adorned with these delicate metal mesh works of art housing a single Tillandsia and a bit of Spanish moss. 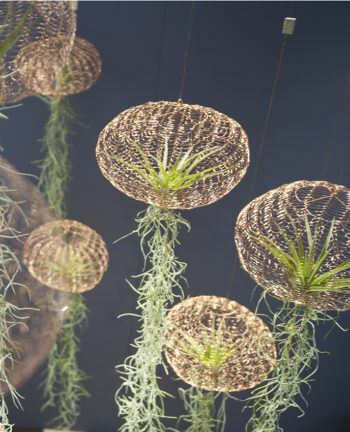 Not only were they captivating in their own right – they are also reminiscent of one of the most mesmerizing creatures, the Jellyfish. 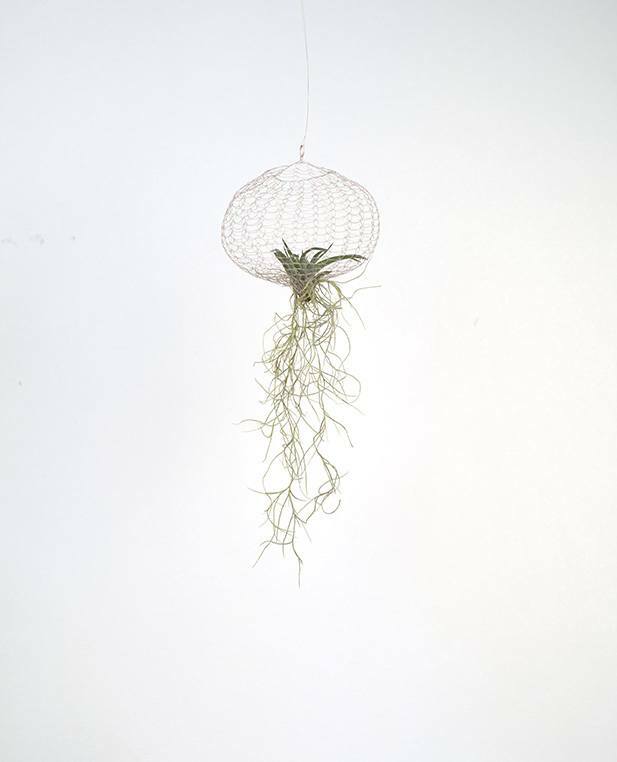 Called the “Air Planting” by the designers Carolijn Slottje and Katrin Willeck in The Netherlands, these tiny bits of hand made bliss are available in select shops and by the studio directly. 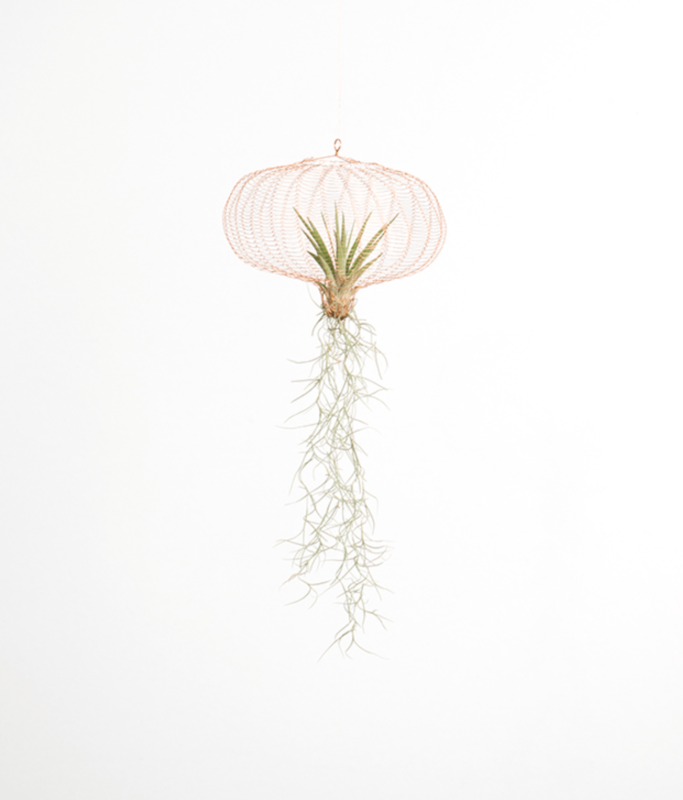 Priced from € 35 – 56 the Air Planting is available in 3 sizes and multiple finishes. Fortunately the studio says they will discuss international orders. 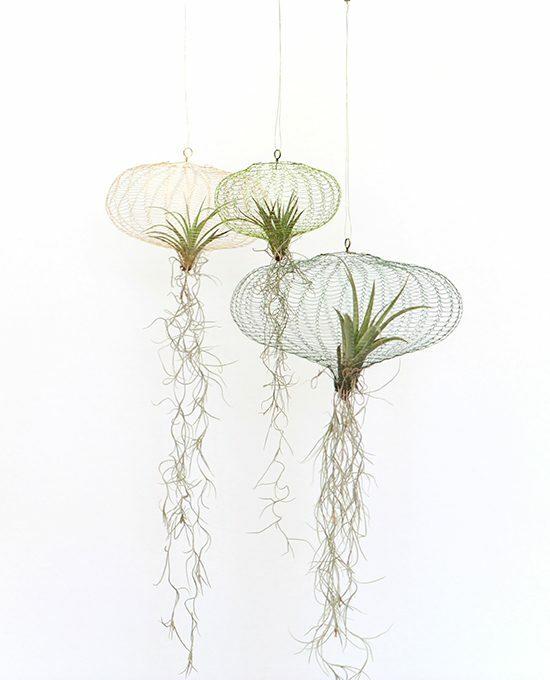 Love the way these look like Jellyfish? Me too – and it may point to my obsession with these creatures!